A four-ingredient bread recipe is something that everyone needs in their arsenal of healthy eats. I have been wanting to try this Pinterest-worthy bread for a while now and finally found a free moment to make it. It only takes ten minutes to make, so I picked a quiet Saturday morning while my seven-month-old son slept in. What I really enjoy about this bread is that it’s very versatile. When it first comes out of the oven it’s very crunchy, but once cooled and stored in an airtight container overnight in the refrigerator, it turns into a softer consistency. 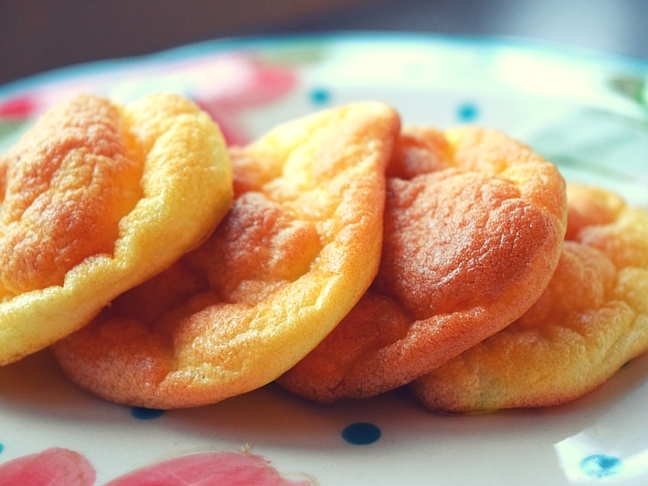 My friend that cut out carbs said that she made a version of cloud bread to make the first truly tasty, no-carb sandwich she’s eaten in years. Whoa! It’s great on its own or with a slew of some of your favorite toppings. 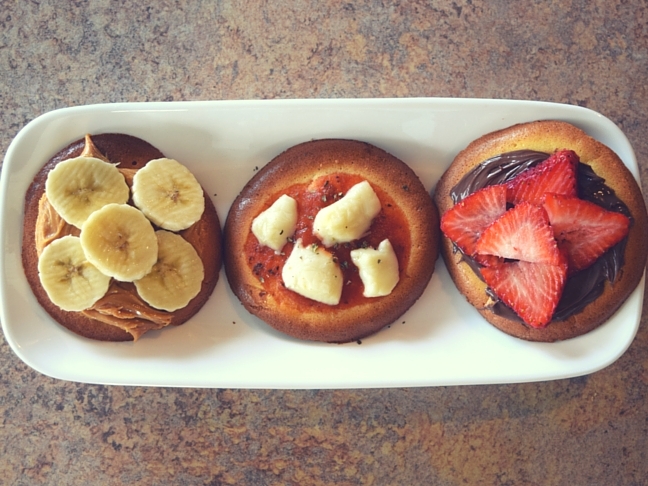 I decided to play with some ingredients around my kitchen and made three mini cloud bread pizzas: cheese, peanut butter and banana, and Nutella with strawberries. Step 1: Preheat oven to 350 degrees and prepare a cookie sheet with parchment paper. Step 2: Carefully separate egg yolks into a small bowl. 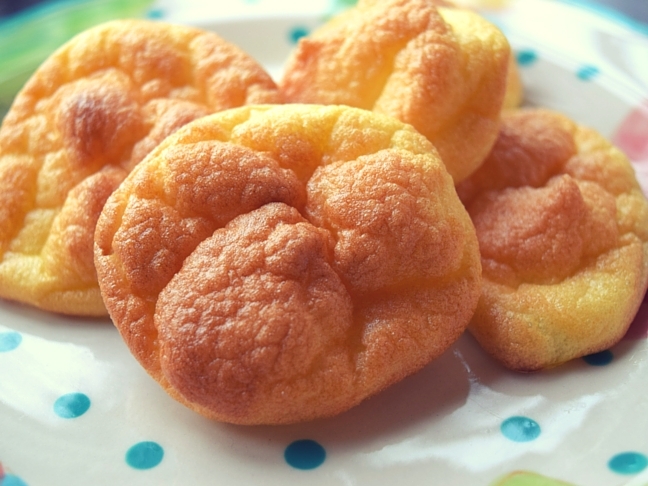 Add sweetener and cream cheese, then blend with a whisk or electric mixer. Step 3: In a large mixing bowl, blend egg whites and cream of tartar until light and fluffy. 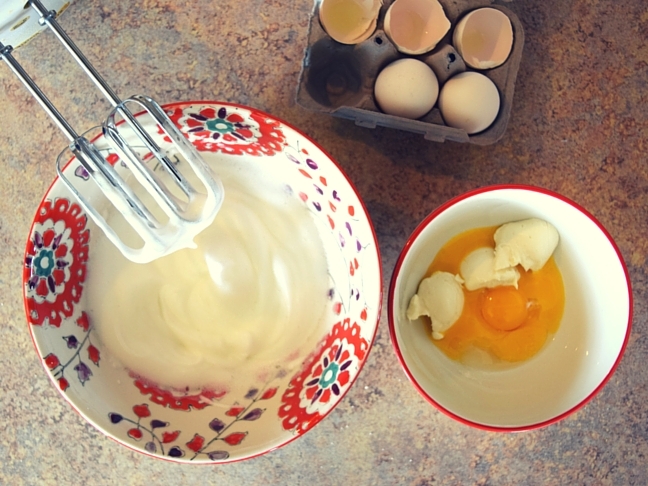 Step 4: Carefully fold egg yolk mixture into the egg whites while keeping them fluffy. Step 5: Bake at 350 degrees for 15 minutes in the middle rack of your oven or until the tops and edges are golden brown. Step 6: Remove from the oven and let cool completely. Step 7: Store overnight in an airtight container for a softer bread.